Want to look like Bollywood actress and stunner Deepika Padukone? Here is your complete Makeup Guide inspired by Deepika Padukone. Deepika was a Kingfisher model and then became an instant celebrity. This happened after her film debut with Shahrukh Khan in the 2007 hit movie “Om Shanti Om“. Since then, she has been rocketing through the Bollywood film industry at a remarkable speed. She has starred in several hit films and worked opposite India’s top leading men. Deepika’s signature look normally includes bronzed skin, soft winged liner and a colourful pout. Deepika Padukone begins her Daily Look with a pair of colored contact lenses. She applies a light foundation along with concealer under her eyes. She then uses a matte bronze blush by MAC on her cheekbones and applies a brown eye shadow by Bobbi Brown on her eyelids. Deepika then applies mascara by Chanel and finishes off her eye makeup by using a highlighting powder underneath the arch of her eyebrow. Lastly, she always puts on a baby pink or red lipstick to enhance her look. There are three basic rules to follow when applying makeup to look like Deepika Padukone. Deepika Padukone loves to use brown- and taupe- colored eye-shadows. 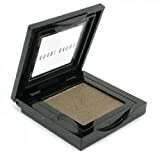 Apply medium brown shades over the lid and darker taupe or silvery-brown shades in a sideways “V” shape on the outer edges of the eye, up past the crease of the lid. Try MAC Eye Shadows in Satin Taupe, Charcoal Brown, and Quarry. Deepika Padukone keeps her lip makeup very understated on most occasions. Opt for peachy-brown satin lipsticks to pair with any outfit. Such colors are very flattering on women of her skin tone. Deepika Padukone pairs it with minimal accessories apart from your vibrant red lips. For a loud lip look, keep the rest of your makeup understated and simple. Try a blue-based red like MAC Red Lipstick. Deepika Padukone’s hair is usually curled when it is down or it is often clipped up half-way. When it is up, it is in a large bun, loose side braid, or is held with a few large, elegant curls that cascade down her back. For Deepika’s hair outlook, you’ll need a fine comb for hair clips, hair spray, and a curling iron. Deepika’s hair color is very dark brown with a few subtle dark brown highlights. Let us know what you think and if there are any other celebrities you’d like to learn more about!